If you’ve been thinking about buying a pair of compact binoculars to replace your full-sized binoculars or ditch an outdated pair, then you’re sure to find the best compact binoculars in our top five list. Compact binoculars are more pocket-friendly. They’re more commonly used by birders, mainly due to their lightweight design which allows the user to hold them for a longer period of time, comfortably. Most people mistakenly believe that just because they’re smaller than the full-sized one that they’re not very powerful or the image clarity isn’t very impressive, but that couldn’t be further from the truth. In fact, most birders prefer these field glasses over their full-size counterpart because they’re much easier to use, offer comparable image quality, and can easily fit in your pocket. We’ve reviewed the leading models on the market and found five must-have models that are perfect for a wide range of applications ranging from birding to hunting. Each model is equipped with roof prisms for optimal image clarity. With so many models on the market to choose from, searching for the right pair can be overwhelming. Fortunately for you, we’ve done all the hard work. We’re confident that you’ll find the right one in our top five list. 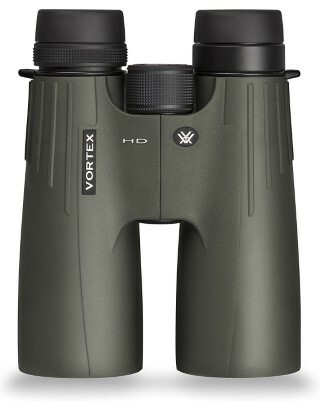 The Viper compact binoculars by Vortex Optics offers impressive image clarity due to the high-quality lenses and roof prisms that are designed for enhanced light transmission. If you don’t have much experience, and don’t know how to focus, the Viper is the perfect pair. 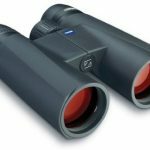 Easy to use, versatile, and durable to boot, these are hands down the best compact binoculars on the market. They can also be used for a wide range of applications including sporting events, hunting, birding, hiking, and more. These leading image stabilization binoculars will allow you to get a clear view of a bird in flight, a deer on the run, or your favorite artist dancing around on stage. They are equipped with roof prisms for improved viewing clarity and can be used in a wide range of light conditions. They can offer a stable viewing experience even if you’re in a boat traveling in choppy waters or on a plane trying to sight land. If you’ve never used field glasses equipped with image stabilization technology before then you’ll be blown away by the Techno Stabi’s performance. 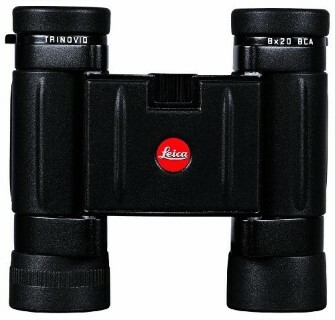 These products by Leica are said to be the perfect birding binoculars on the market. Offering excellent light transmission, and featuring a lightweight design, these are the field glasses you want on hand when you’ve finally sighted a rare bird and want to view every detail down to the last feather. Easy to use and adjust, this product from Trinovid is incredibly durable despite their lightweight design, and they’re perfect for use in extremely low light conditions such as dusk or dawn. Designed for birders, hunters, hikers, and sightseers, these versatile, easy to use compact binoculars are pocket-friendly, lightweight, and equipped with top of the line lenses that will allow you to clearly capture every detail. Featuring a durable, ergonomic design, these field glasses are perfect for beginners and seasoned birders alike. They’re also highly adjustable so glasses wearers can enjoy the perfect fit. 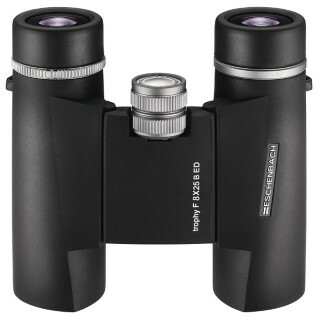 These top of the line Eschenbach compact binoculars are a steal for the price. Easy to use and equipped with multi-coated lenses, they are a great choice for a wide range of applications. 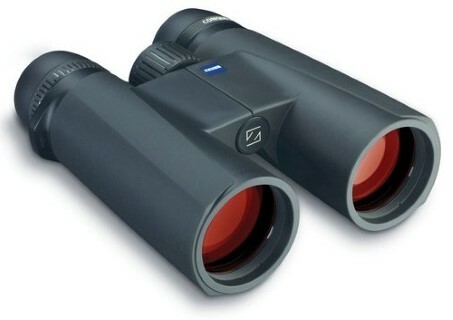 They’re also easy to adjust and focus and offer an ergonomic design that makes them perfect for hunting and birding use. More and more outdoor enthusiasts are making the switch to compact binoculars because they’re so easy to carry around compared to their larger counterpart. You can stash them in your backpack or purse, keep a pair in your glovebox or in your desk at work, and take them wherever you go. They’re the perfect accessory on vacations and sightseeing tours, and they’re a must-have when you’re with family on an outing or for a day at the beach. Compact binoculars will give you the ability to zoom in and out on just about anything, anytime. If you want to keep your pack weight low, then compact binoculars are also a better option compared to full-size binoculars. The best compact binoculars will be the ones that provide a crystal-clear viewing experience and a pair that also works with your budget. When you’re shopping around you’ll notice a wide price range, but it can be hard to determine what makes a pair better than the next considering most pairs look very similar in shape, size, and style. Understanding important specs including the exit pupil, objective lens diameter, and magnification, can help you to narrow down your choices regarding which model has what it takes to meet your needs. Compact binoculars are just that-compact. They’re actually much smaller than the standard size binoculars, but that’s one of the reasons most hikers and outdoor enthusiasts favor this size over full-sized models. Full size: They are often used on boats or for birdwatching. They’re favored for their ability to perform better in low light conditions because they tend to capture more light. They also offer a wider field of view compared to compact binoculars, which is what makes them such a great choice for birdwatching. However, most hikers have found that they’re too heavy for backpacking. Midsize: Theys are still a bit too heavy for hiking but are often used for sports and wildlife use. They also offer above average light transmission. Compact: They really excel for most daytime activities. 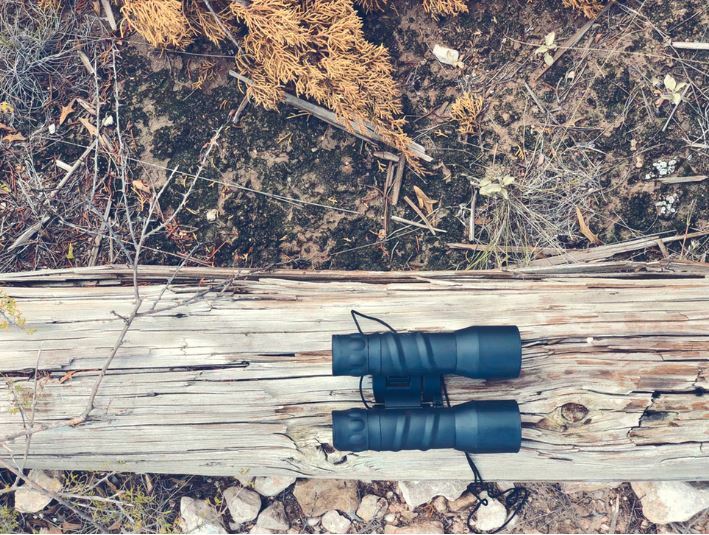 They’re the smallest, lightest binoculars on the market, so they’re perfect for backpacking. A pair of field glasses is identified using a couple of different numbers. The numbers used identify lens diameter and magnification power. A pair of field glasses with a power of seven means that the object will appear seven times closer than it would with the unassisted human eye. A pair of binoculars that are too powerful can be difficult to use. The other number used in field glasses identification is the diameter of the objective lenses. This number will determine how much light a pair of binoculars is able to gather. If you have a couple pairs of field glasses that have the exact same specs with the exception of the lens diameter, the pair with the larger diameter will be able to capture more light. And of course, more light means a brighter view, especially in low light conditions. An exit pupil number is a number that will indicate how bright objects appear in low light conditions. A larger number will equal a brighter image. Binoculars with a large exit pupil can make it much easier to maintain the full image of an object, even if the user’s hands shake or move. The size of the exit pupil is calculated by taking the diameter of the lenses and dividing it by the magnification number. In poor lighting conditions, the pupil can widen up to seven millimeters. If the field glasses you use feature an exit pupil that’s lower than seven, then they’re restricting the light that’s available. For low light conditions, such as dusk or dawn, models that have an exit pupil of five or more will be the best option. For nighttime viewing, field glassesf with an exit pupil of seven or more are perfect. During the day, the exit pupil size really isn’t important. In bright sunlight the pupils in our eyes can narrow to about two millimeters, and considering field glasses offer an exit pupil size that’s larger, it’s not an important spec to pay attention to if you plan on only using your binoculars during the day. The binocular’s relative brightness will measure how bright an object will appear to the human eye. A higher number equals a brighter object. This is a must-have feature in poor light conditions. A field glasses’ brightness is measured by squaring the number of the exit pupil. The eye relief is the distance between the wearer’s eyes and each eyepiece while the entire field of view is visible. Binoculars with a long eye relief are more comfortable because they allow the wearer to hold the binoculars away from the face. This feature will be most important to people who wear glasses. 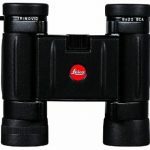 Many manufacturers recommend that if you wear glasses you should roll the rubber eyepiece collars down before looking into the binoculars for a more comfortable viewing experience. FOV or the field of view explains the width of the area that can be viewed at a glance, one thousand yards from where the user is standing. A wider field of view is ideal if you want to find and observe wildlife. Typically, models with a higher magnification have a narrower field of view. Most models will come equipped with a central focus wheel that will focus both of the barrels at the same time. It also often includes a diopter adjustment ring which will focus one barrel independently, allowing the user to compensate for a difference in vision between their eyes. Every pair of field glasses comes with prisms inside. Without the addition of prisms, every image would appear upside down because of how the light passes through the lenses. There are two types of prisms to choose from: Porro and roof. Field glasses that use Porro prisms provide great optics, but they’re much bulkier compared to roof prisms. Models made with Porro prisms tend to be more affordable because Porro prisms are easier to produce than roof prisms. Models equipped with roof prisms are more compact and slimmer than Porro prism binoculars, which makes them a great choice for outdoor activities such as hiking. However, it takes more skill to make field glasses equipped with roof prisms. Because of this, roof prism binoculars are often priced higher than the alternative. A portion of the light that passes through the lenses is reflected away. This reflection works to minimize the amount of light that goes through the lenses, causing images to appear dark. In order to ensure sharp, clear images, coatings are applied to the lenses. Lenses that are multi-coated work to increase light transmission while reducing the most reflection. If you plan on taking your field glasses on a boat or using them in rainy weather, then you need a pair that’s either water resistant or waterproof. Binoculars that are deemed waterproof will have O-rings in order to create a seal and keep moisture out. They can also prevent debris and dust from getting in. Field glasses that are water-resistant are not the same as waterproof. These binoculars will only protect the lenses against light rainfall and should never be fully submerged. Did you know that binoculars can easily fog up? This occurs when they’re moved between different temperatures such as a warm and toasty home to outside in forty-degree weather. When the lenses fog up, it’s not only super annoying, but it can also cause damage to the binoculars if the moisture makes it inside the lenses. In order to combat fog, some manufacturers have used different methods to replace the air found inside the barrels of the binoculars with gas, which has no moisture content, which means it cannot condense. And the result? This technique works to protect the internal lens surfaces, but not the exterior ones. Most compact binoculars used to view wildlife will come with a few basic features. They will have a diopter focus adjustment and a central focus wheel. The diopter is part of the right-hand eyepiece. The diopter’s purpose is to compensate for differences in vision between both eyes. Adjusting the central focus wheel and the diopter focus is how you’ll be able to get the clearest image possible. Another must-have feature for birding binoculars is a neck strap. Carrying the binoculars around by the strap is only asking for trouble. The strap will keep the binoculars safe around your neck, within easy reach. Of course, compact binoculars are so small that many are very pocket-friendly as well, but when worn around your neck you’ll have faster access. If the field glasses you purchase don’t come equipped with a central focus wheel or a diopter wheel, then we don’t recommend them for birding. When you receive your new field glasses, you’ll need to adjust them before use. How to focus binoculars is simple if you pay close attention to lens clarity as you make adjustments. Begin by adjusting the distance between the barrels so that they’re the perfect width for your eyes. If they’re too close or too far apart, you’ll see black edges in the field of view. If you have the spacing set correctly, the view should be a perfect circle. Next, you’ll need to find something to focus on such as a sign, tree branch, or a distant building. Turn the central focus wheel and focus with both eyes. Next, close your left eye, using your right eye to look through the lens, and adjust the focus wheel. Close your right eye and use the diopter adjustment, then bring the view into focus. Open both eyes and see if the focus is clear. If the image isn’t clear, repeat these steps, continue to make small adjustments using both focus wheels. So, how do you know if your binoculars need to be adjusted? If using the field glasses give you a headache or you feel a sharp pain in your eyes, your field glasses may need to be adjusted. If you’ve adjusted them correctly and you’re still experience eye strain and headaches after use, then the lenses may be out of alignment. You can contact the manufacturer to find out if they service their products. Additionally, proper care and maintenance are also important if you want to get the most out of your field glasses. Click here to learn how to clean binoculars and read about the best tips and tricks you can use to keep your binoculars in optimal shape. Before you buy the best compact binoculars, consider what you’re buying them for. These days, compact binocular technology and quality has come a long way. In the past, these field glasses were mainly marketed at beginners and casual hikers. 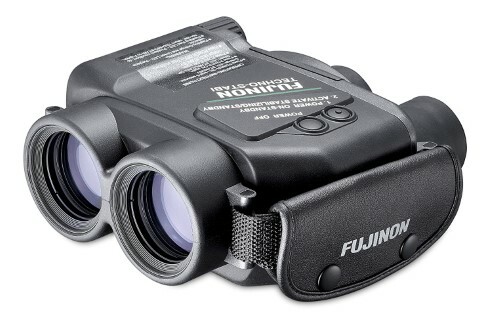 These days, many compact models can rival full size binoculars in terms of clarity, magnification, and overall quality. If you plan on using your binoculars aboard on your next vacation, look for a versatile pair that’s equipped with roof prisms and a higher magnification power. Birding often requires top of the line full-size binoculars, but many compact binocular manufacturers now produce models that are specifically designed for birding. Obviously, the best field glasses will come with a higher price tag, which is a fair tradeoff for the crystal-clear viewing experience. A hiker can easily get by with a budget-friendly pair. If you’re fishing at night, you’ll need a pair that’s waterproof and features a larger diameter for nighttime use. If you’re purchasing field glasses for birding, you can expect to pay more. With this hobby, image quality will be everything. Lower priced field glasses will not offer the type of image clarity and light transmission that’s a must in order to identify a species. Proper care and maintenance is essential. These field glasses come equipped with roof prisms and HD lens glass, both of which are delicate and require special care during the cleaning process. As you can see, modern compact binoculars are incredibly versatile, user-friendly, and can come in handy in a wide variety of applications. With the right pair, compact binoculars can show you the world in a totally new light. We hope our reviews of the five best-selling models and our buyer’s guide has helped you to choose the best compact binoculars that will meet your needs based on application or adventure, and a model that works with your budget.